This is a rectangular Viscoyl Motor Oil porcelain sign. This particular Viscoyl Motor Oil sign is purple and beige. 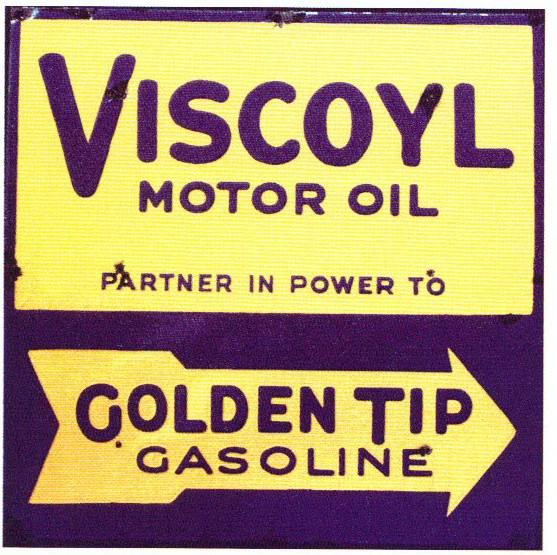 It reads, “Viscoyl Motor Oil, Partner in Power To Golden Tip Gasoline” and features a beige arrow pointing to the right at the bottom of the sign.